Samsung shined high when the Galaxy S7 officially outsold the iPhone 6S and 6S plus. It was admired as Galaxy Note 7 came along but then everything went out-with a bang because of the battery issue. But now we need to focus our attention towards this year’s flagship device i.e. Galaxy S8. After seeing a plenty of photo leaks of the Samsung’s Galaxy S8, we still hope for more surprises. Tons of leaks from various might have not caught that much of our attention as the recent one. It’s an image from the professional leaker Evan Bass, who has a history of responsible chunks of images on his part. 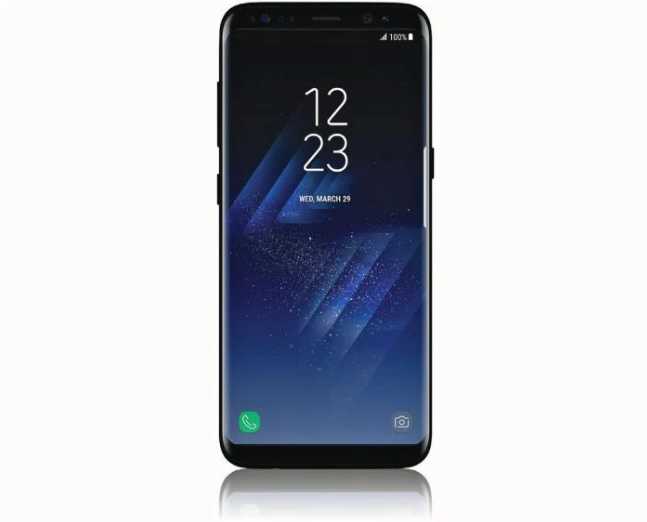 The image shows a completely redesigned Galaxy S8 which is devoid of any physical buttons. It still contains the wrap-around seen similar to S7 edge but the bezel is smaller than all of its previous models. It takes up only a small portion of the top and bottom of the Samsung Device. The disclosure however does not reveal any information regarding the software used by the company or the phone casing. But with a whole month to wait for the final launch, leakers will have plenty of times to search for more information and images regarding Galaxy S8. The leaked image of Samsung’s Galaxy S8 places the company in a difficult position as it has appeared at a time when the largest mobile trade show in the world i.e. the Mobile World Congress is taking place. Previously, Samsung was used to announce for its Galaxy phones in this conference but even at its last day today, the company just released two of its tablets. For Galaxy S8, Samsung is expected to unveil the device in New York City around late March. With previous setback, the company is taking another month to perform extra testing on its new product.